Justin Timberlake found himself on Twitter's bad side Sunday night (and well into Monday) after tweeting that he was "#inspired" by Jesse Williams' acceptance speech at the 2016 BET Awards after he received the Humanitarian Award. The Grey's Anatomy actor gave a powerful speech touching on everything from police brutality and conditional freedom to equality and making money. It was, as Timberlake noted, inspirational. But the initial tweet isn't what landed Timberlake in the hot seat, rather, his response to a social media user's criticism caught the attention of the Twittersphere — and set off a social media storm. "So does this mean you're going to stop appropriating our music and culture? And apologize to Janet too. #BETAwards," one Twitter user wrote to the 35-year-old singer. 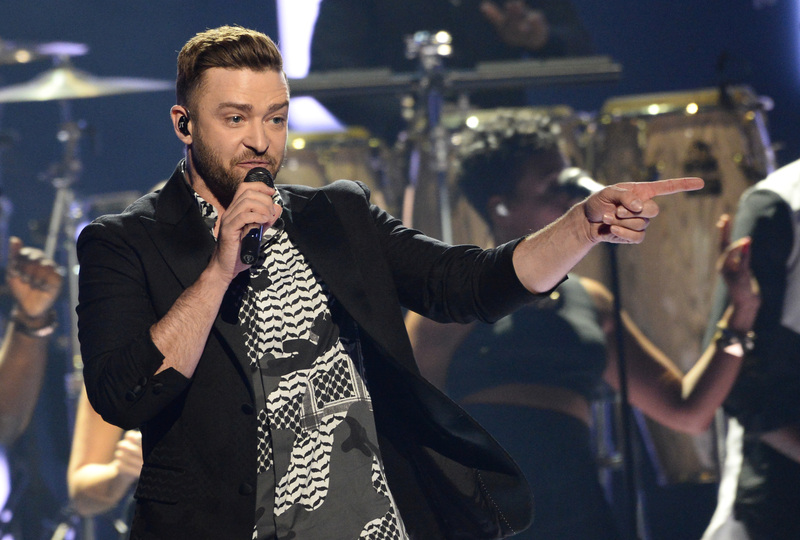 Timberlake fired back: "Oh, you sweet soul. The more you realize that we are the same, the more we can have a conversation." This is where the “Can’t Stop the Feeling” singer went wrong. No, there is absolutely nothing wrong with being "#inspired" by Williams' speech, it was Timberlake's response to the fan that was obtuse. Disregarding his pretentious use of the phrase, "Oh, you sweet soul," Timberlake's response did one thing: it ignored every point Williams made in his powerful speech. Williams boldly spoke about the oppression African-Americans have faced and are facing. He spoke out about police brutality against African-Americans and he spoke out about the conditional freedom African-Americans experience in modern society — the kind of liberty that comes with terms and conditions. So, Williams' speech was a pure illustration of just how "we" are actually not the same. And at its core, Timberlake's statement was a form of erasure. To imply that "we are the same" is to ignore the plight of the African-American community and the many injustices we face as a result of systemic racism. In actuality, we are not the same, especially when that "we" includes Timberlake. We cannot ignore the fact that Timberlake holds a lot of privilege. Not only is Timberlake white, but he is a white man. Not only is he a white man, he is a straight, white man. Not only is he a straight, white man, he is a famous, straight, white man. He is an able-bodied, famous, straight, white man. He holds privilege in terms of gender, sexual orientation, race, physical ability and class. This affords him benefits and privileges — economical, social and political privileges — that many in the nation will never see in their lifetimes. Timberlake encouraged the Twitter user to understand that “we are all the same” so that “we can have a conversation.” This “conversation” the singer spoke of refers to a discussion about social issues, injustice and race relations — all of which Timberlake ignored when he placed everyone in society under the category of “same.” We are not the same. We all may have been created equal, but in American society, we are not all treated equally. Additionally, Timberlake’s response tweet came after the Twitter user mentioned the star’s tendency to appropriate black culture and music. Timberlake is widely known for his soulful, R&B sounds and hip-hop inspired dance moves — both of which are staples of African-American culture. However, instead of acknowledging his wrongdoing, Timberlake essentially granted himself permission to appropriate under his perceived idea that we are all the same anyway. Of course, there is nothing wrong with Timberlake’s music and dance style, but an issue arises when he benefits from his appropriation of African-American culture without acknowledging and speaking out about the oppression that culture faces. Along with attacking Timberlake’s tendency to appropriate African-American culture, many social media users made mention of the singer’s 2004 Super Bowl Halftime show performance with Janet Jackson in which he pulled off a section of her dress, supposedly accidentally revealing one of her breasts. The wardrobe malfunction angered millions who watched the MTV-produced halftime show, and CBS and MTV’s parent company Viacom essentially blacklisted Jackson for a period, refusing to play her music and videos on MTV, VH1 and radio stations under Viacom, according to Rolling Stone. Just weeks after the performance, Jackson released her eight studio album, Damita Jo, but the project didn’t fare well initially thanks to the TV and radio blacklist. Amid the backlash, CBS, which initially invited Jackson to sing at the Grammy Awards, rescinded the invitation. However, Timberlake was allowed to attend the ceremony and even won two awards. He made no mention of Jackson. And now, amid the recent social media storm, the 12-year-old wardrobe malfunction has found its way back into the Twittersphere. “Maybe janet jackson [sic] should speak up and defend justin timberlake [sic] like he did for her back in 2006…oh. Wait…” one tweeter wrote. Bringing the 2004 incident into Timberlake’s recent controversy may be opening up a can of worms, but the incident perfectly illustrates a situation in which Timberlake had the perfect opportunity to use his platform to speak out about an injustice. As Jackson’s career took a hit and his flourished, Timberlake said nothing. If we were all the same, as Timberlake so boldly noted, both he and Jackson would have met the same fate as a result of the wardrobe malfunction.